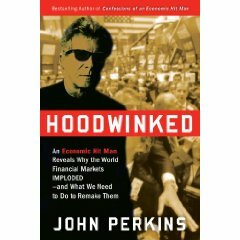 With the continual increase in corporate influence on every sphere of life, and an increase in global interconnectedness comes a new movement - that of questioning globalization and corporatism. We've decided to highlight products that you can use to help work against indiscriminate globalization. These are some organizations on the web that provide information and resources regarding globalization, corporatism, and fair trade. Global exchange promotes human rights, social justice, and environmental causes around the world, as well as providing resources on the global economy and fair trade. UNITE! is running a "Stop Sweatshops" campaign. Their website provides a basic set of resources that can help you as a consumer figure out what you can do to fight sweatshops. The Continental Direct Action Network consists of many autonomous locals working to overcome corporate globalization and all forms of oppression. Know of another site we should include here? Send us the address of that site, and we'll put it up. Our best-selling DVD • a film by Micha X. Peled (Store Wars: When Wal-Mart Comes to Town) • 88 minutes • audience age: grades 9-12, college, adult • NOTE: Any school or library orders for this DVD must be placed directly with Bullfrog Films (800-543-3764 or online: www.bullfrogfilms.com/catalog/china.html ) We can only sell it to individuals or activists at this home video price. The school & library price for this DVD is $295.00 and includes public screening rights in perpituity. This DVD is not available through Netflix, other retail websites or in videostores. Tha Truth is a conscious/political underground hip hop artist and "rap-tivist" (rapper-activist) known around the Philadelphia area for battling inequality, poverty, discrimination, and injustice. He has performed in countless venues at concerts, colleges, demonstrations, conferences, and benefits. 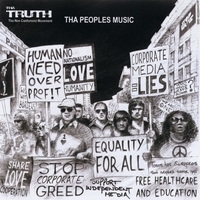 Since 2006 Tha Truth has released three critically acclaimed underground political rap albums that attack the forces that maintain the status quo. mix: truth, revolution, struggle, the red pill from the matrix, V for Vendetta, fightclub, the spirits of Bob Marley, Howard Zinn, and George Carlin, then add the Simpsons, the Boondocks, and fighting the system, and cook for 60 minutes. 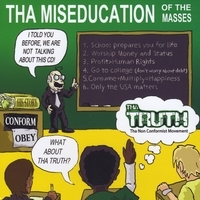 "Tha Mis-Education of the Masses" was released on May 19th 2010 (Malcolm X's birthday). Tha Truth chose this release date purposely to honor freedom fighters Malcolm X and also Harvey Milk (whose birthday is May 22nd). 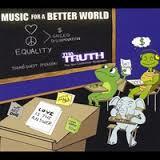 This CD expands on the themes of equality and justice as his previous projects, while adding substantial doses of sarcastic wit, mind bending and humorous metaphors, and a variety of diversified beats comprised from Middle Eastern live percussion/drums, native flutes, acoustic and rock guitar, reggaeton, and a lot of the lost arts of DJ scratching and mixing. • Click on the title for more information . . .